I have loved to sew from the age of 14 and had a dream of having my own tailor shop; if you believe and have faith, anything is possible. Me and Bob can do almost anything...just let us know! Thirty seven years in the business, you can expect the best and you will receive the best! Douglass high school 1962--1965; Diploma & Certificate in tailoring, 1962-1965 ; College: Central State Univ., 1968-1970; Rose State College, 2002--2002 ;Trade School: Oklahoma State University School Of Technical Training, 1965-1967; Certificate in Dry Cleaning. Employment: S & Q Clothing Store,Enid, Ok, 1965-1965 ;Connolly's Clothing Store, Down Town OkC., 1967-1968; Gus Myer's Ladies, Penn Square Mall, OkC.,1971-1972; John A. 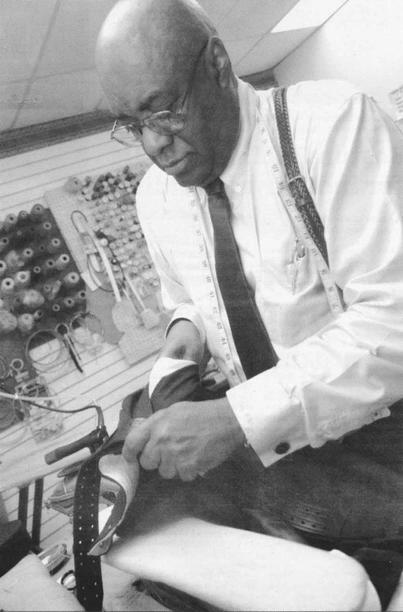 Brown, Penn Square Mall, Okc., Alterations Manager-1975-1980; Sir Charles The Tailor, 9615 N.E. 3rd Place, Midwest City, 73130 President-1980 to present. 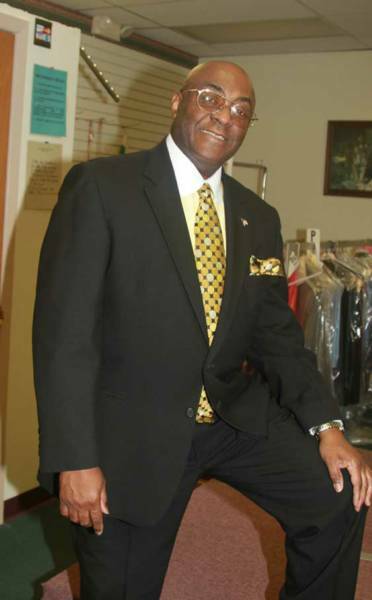 MIDWEST CITY - In a cramped Tailor shop just north of Tinker Air Force Base, Charles E. Woods mends regular suits and service members' uniforms. When a cuff goes awry, he puts it back into place. If someone earns new stripes, hes ready to sew them on. Woods doesn't cater just to the military, but his success as Sir Charles the Tailor over the past 35 years cannot be separated from what happens at the base. "Tinker Air Force Base is the heart of Midwest City", Woods said. "Without Tinker there probably wouldn't be a Midwest City. It really has helped our business in civilian as well as military."